I’ve been working my way through the Song of Ice and Fire books, and am currently on book 3. 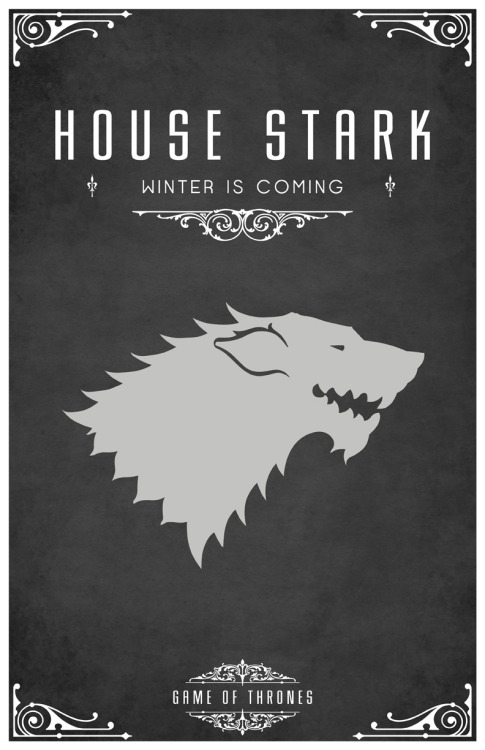 The above poster was made by a fan and represents one of the Houses in the series. A full set of posters is up here.